Time for another round of mini-reviews! 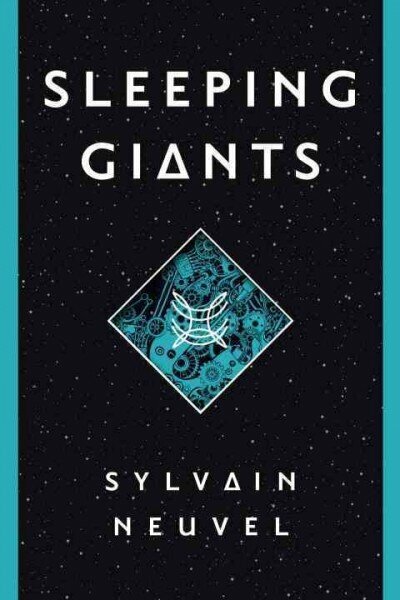 I’ve been a little neglectful of my book reviews lately, mostly because I am trying to move beyond book reviews in this blog. But I do love reviewing books, and reviews – whether I are writing or reading them – are actually an important component of librarianship. Reading reviews is essential to collection development. When we purchase books for the library, we often don’t get to read a book before it ends up on our shelves. Reading reviews gives us a better idea of whether the books suit our patrons. But writing reviews is equally important. Writing reviews allows a librarian to practice distilling the qualities and values of a book into an easily digestible description, a necessary skill for those reference librarians who still get to offer readers’ advisory services. So while I will continue trying to integrate more librarianship into this blog, I will always be sharing my book reviews with you. And now, to the reviews! Sometimes you have to remember to say yes, even if you doubt yourself. When I answered the phone at the desk, a panicked voice explained that she had been surfing various government websites hunting for a very precise bit of information to no avail. Starting at 9 a.m. that morning, she had been trying to find “the percentage of rural population in each county of West Virginia.” She began with Census.gov, futilely browsing it for two hours before giving up and searching on Google, where she found four different definitions of “rural” and no hard population numbers. By 6 p.m. she was thoroughly frustrated but still desperate to get a crucial piece of evidence for her work. When she first asked me to help her, I was sure I couldn’t find it. While I had learned to use Census.gov earlier, the site had been redesigned, and it wasn’t what I would call user-friendly. My first hunch was just to say no. And then I pushed past the doubt and starting looking through Census.gov, starting with what I thought would be the easiest question: The definition of rural vs. urban. I shared the page I discovered with her and then we read it together. (None of the four websites she had found through Google had the federal definition correct). Then I pointed out that a linked page held other links to Excel spreadsheets from the 2010 census that referenced rural and urban populations. Elated, she opened the spreadsheet and I heard her groan. I loaded a copy myself and realized it was massive and hard to decipher. I stayed on the line and talked her through pinpointing the relevant columns and rows and how to hide the irrelevant rows so she could print it out and have a two-page hard copy (instead of dozens of useless pages) to better understand the numbers. From the panic and despair to the final excitement of finding the answer, I couldn’t help grinning like an idiot as she thanked me and we said our goodbyes. The experience was awesome! The only way I can describe it is as “experiencing a reference high.” She was so happy she was gushing over the phone and I couldn’t help smiling and thanking her for challenging me. For the rest of the day, I would think about the feeling of helping her and start grinning like a fool again. What was my lesson? Doubt can remind you of your limitations, but it should never stop you from trying your best. I never meant for this to become a book review blog. Don’t get me wrong, I love sharing my thoughts on some of the books that I’ve enjoyed. But I just realized that the last several posts I’ve shared have little to do with my time in libraries, and that’s really why I started this blog in the first place. Don’t worry. I’m not abandoning my book reviews. I’m just going to try to return to reflecting on librarianship a little more. So without further ado, let’s talk a little but about what makes librarians so valuable, even in the age of search engines. According to Libraries for Real Life, “There are more public libraries than McDonald’s in the US – a total of 16,541 including branches.” Could this be true? It amazes me that there are this many library buildings in the United States alone and people still don’t really know what we do. Part of that is because every library is different, despite having the same general purpose. The building is different, the collection is different, and, more important to every other aspect, the patrons are different. Indeed, decisions about the look of the building and what books to purchase are often based on the type of patrons and the conclusions we can draw about their needs. Within a 30 minute drive (barring the traffic that makes everyone crazy) I can visit 12 different library systems which include 61 different branches that are designed to cater to the specific needs of their individual communities. Having worked in three of those systems gives me the unique ability to recognize and understand the differences. It also helps me become a better librarian to understand why one branch in one city will purchase multiple copies of urban or street lit authors and no James S.A. Corey, for example, while a branch on the other end of the same city has all of the Expanse series on its shelves and few copies by those same street lit authors. Events that I wish I could do likely would get no attendance in one of the systems at which I’ve worked, but I know they will be a hit where I am now. There are even reference questions I can expect will never come up here, but I got all the time working at my previous locations. For example, I am much more likely here to be faced with a 12-year-old looking for the name of the latest title in a specific young adult series than the 45-year-olds hunting for a sample real estate lease I helped at my previous location. And when or if I ever transition to an academic library, I may never answer questions like this again.I’ve had to think a lot recently about what sort of library would be my dream job. There is a lot of discussion out there saying that public librarians have a lot of trouble transitioning to academic or special libraries. I’ve mainly worked in public libraries, so it’s a little worrisome to hear others saying that I’m losing my choices about where I want to go. But working in a library, any library, will give you that same basic skills you need to work at any other library. Being a librarian is not about knowing everything (I may pride myself in knowing that Odin was also called the All-Father and that the Westlaw database has free word documents of a variety of legal forms that can be downloaded and edited, but that’s not what’s important). Being a librarian is about knowing how to find that right answer. It’s learning the answer alongside our patrons, and learning to anticipate what that patron might need. It’s about asking as many questions as we our expected to answer, so that we know we are getting that patron to the right resource. So when a 14-year-old asked for information about Norse mythology, I made sure to ask why he wanted it. That’s why I also sent him home with books on how to write fantasy novels, how to get published and two novels that retold original Norse mythology. I even suggested he might read about Christopher Paolini, who started writing a fantasy series inspired by Beowulf at the age of 15. This is just one example of how librarians – the ones who know how to ask the right questions and build personal relationships with our patrons – beat out Google every time. A librarian who understands this can work anywhere, not just in a public library. HathiTrust and Google Books has raised questions of whether we need libraries. Hello, folks! 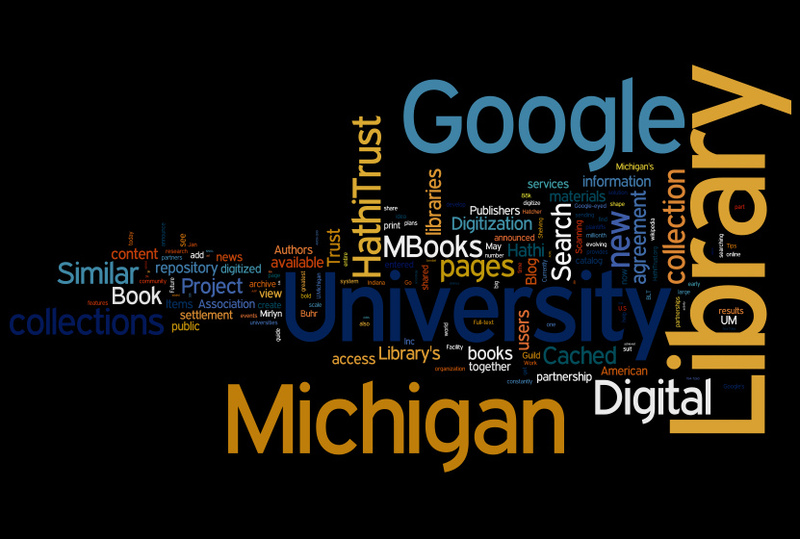 My evaluation and planning class had a side discussion going on HathiTrust (a digital repository) and Google Books. This discussion quickly turned to one of access, which segued into discussions of WorldCat and the “buy-it” features found on WorldCat and Google Books. One of the main arcs of the discussion was about whether the aforementioned services will replace libraries. While we all generally agreed it was unlikely that these services will cause the end of libraries, it got me thinking about an overarching question I have faced in many of my graduate classes: Should librarians use or point patrons to nonlibrary resources? I’m a millennial who grew up with the Internet and Google. For my own personal information needs, I turn to Google first. On the reference desk, I turn to our online catalog instead. Why the difference? To be honest it is mostly that my employers and my patrons expect me to use something other than Google. I feel as though patrons expect us to have some magical answer genie that they can’t access, and to be fair, most of their questions can be answered in our catalog. This is because in a public library, patrons are generally asking “Do you have any books on xyz?” But my personal information needs (i.e. not school-related needs) usually involve a question along the lines of “Who was that one actor in that film about the dog” or “I have Brussels sprouts and butternut squash. What can I make with that?” But that does not mean that Google is unable to answer reference questions. It just has to be used thoughtfully. I have previously mentioned an example where it was only once I turned to Google that I was able to find the name of a book for a patron. But that’s not the only time Google comes through for me on the reference desk. At least once a week I get asked for a phone number of a business. While we do have phone books behind the desk, Google is a much faster and simpler resource. I also have a patron who calls once a month or so looking for book recommendations. Her interests lie in Amish mystery series, a genre I had not heard of before speaking to her. While you can search for “Amish mystery” in our online catalog, it doesn’t actually say if a book is part of a series. For that, I turn to Google. I was not surprised to find that Google gets a bad rap in libraries when I began library school. From high school on, my educators spent a great deal of time drilling into my head that Google was bad. But when it comes to serving patrons, librarians should leave no stone unturned. Just like any resource, if used properly, Google can be a vital tool in any librarian’s kit. Beyond Google, my professor mentioned a worry that by sending patrons to Amazon for books we might inadvertently be spelling doom for libraries. Far from being a traitorous move, I see this as just another way of providing stellar service to patrons. If our system does not have a book and the other local library systems don’t have a book, then patrons will leave empty-handed. That’s high on my list of things not to do on the reference desk. Instead, I run a check on Amazon or Barnes and Noble and let patrons know if what they need can be purchased there. Indeed, WorldCat.org offers a way to search both local libraries and leading bookstores in one site. I often send patrons there so they too can benefit from that resource. The job of a librarian is about providing access. Not offering a lead on a place that does offer a resource is tantamount to denying access to that resource, at least in my book. Librarians will always be necessary for pointing people to the resources that meet their needs. If we make use of these valuable resources, we will continue to be on the forefront of meeting the information needs of our patrons. If we don’t, we run the risk of fading into obsolescence anyway.